The number 10 is an iconic number. In time it is a decade. 10 out of 10 is a perfect score. Ten is the base of the decimal system and the foundation of binary. It is an Aussie TV network, and the house number of 10 Downing Street. Humans have 10 fingers and 10 toes. Crabs have 10 legs. Ten percent of the world is left-handed. The Apple iPhone is also turning 10 this year. The war of Troy went on for 10 years. In a Tarot deck, 10 represents chance and fortune. And then there is The Ten Commandments. And Quentin Blake’s book ‘Ten Frogs’. 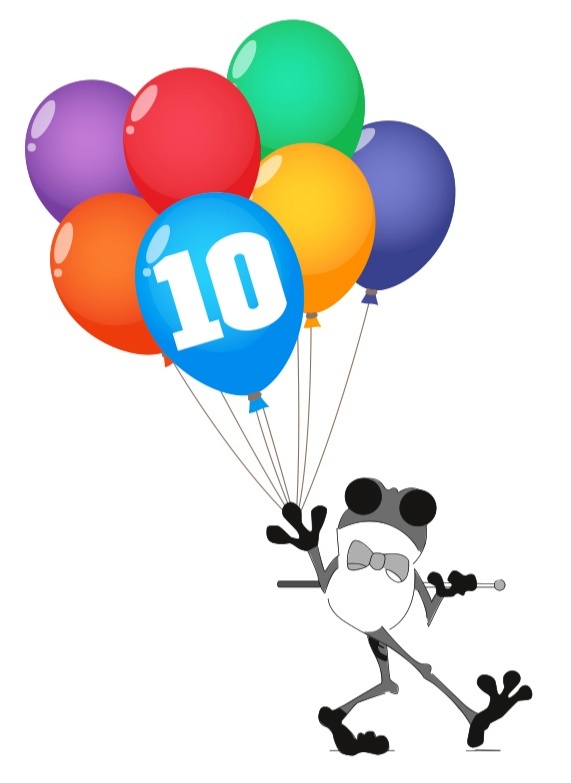 So as we celebrate turning 10 years in the tenth month of 2017, we look back on an entire decade in which we have moved many houses of the number 10, or apartments on the tenth floor of high rise buildings, in our 10 tonne truck, of which we have hired a portion of the 10 percent of the population who are left-handed, as well as counting ourselves lucky to still have all our ten fingers and ten toes (some in our industry don’t ouch!). In the past 10 years, we have performed 2,840 removals, we have gone from three business partners to two, we have had two children and three times more fur-babies, are debt free after having repaid two business loans, have probably only had four short holidays, but many more laughs and even more happy clients. We’ve been busy! In today’s business climate where it is increasingly hard to operate a transport company in Sydney, ten is significant. For us, it is a glorious achievement. Thank you to everyone who has supported us and believed in what we offer this crowded industry. Thank you to our staff who are simply the best army of Frogs. The biggest thank you goes to our lovely clients who make this crazy reality that little bit more bearable. 10 is a fantastic number!